TRAPANI, Italy --- Piaggio Aerospace, a leading Italian aircraft manufacturer active in the business, defense and security sectors, today resumed flight test activity for the second prototype of its P.1HH HammerHead, the state of the art multipurpose Unmanned Aerial System (UAS) at Birgi Military Airport in Trapani today. P.1HH is an Unmanned Aerial System designed for aero, marine and terrestrial surveillance and reconnaissance. Entirely designed, developed and manufactured in Italy, P.1HH is the only remotely piloted MALE (Medium Altitude Long Endurance) system in Europe. Consisting of two remotely piloted aerial vehicles (UAV), a Ground Control Station and integrated navigation and mission systems, P.1HH system is positioned at the very top end of remotely piloted MALE aircrafts. 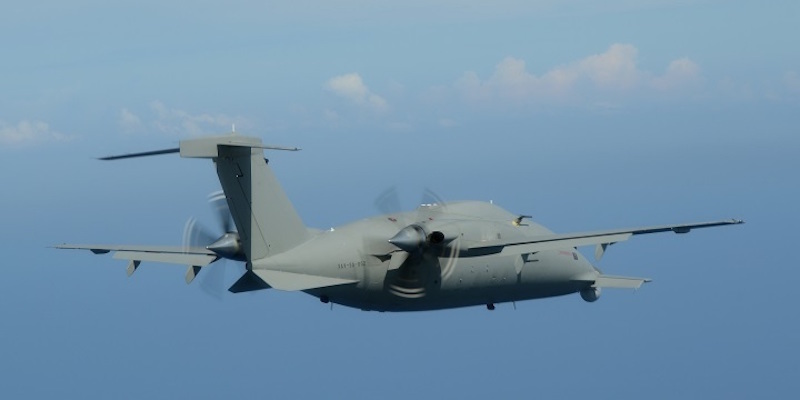 The P.1HH program integrates the capabilities of Italian companies of excellence, including Leonardo and Piaggio Aerospace, with the fundamental support of the Italian Ministry of Defense and the Italian Air Force. The resumption of flight tests follows the completion of an intensive program of on the ground testing in recent months. The completion of the system and the first deliveries are planned in the course of 2018, in the context of the wider development plans of Piaggio Aerospace. The Italian air force is the launch customer, and in February 2015 announced an order for three systems, each comprising 6 air vehicles and 3 ground control stations, in intelligence, surveillance and reconnaissance (ISR) configuration. The second customer is the United Arab Emirates, who in March 2016 signed a €316 million contract for eight P.1HH aircraft and related systems and services.